You Are Here: Home » Kirkuk, KRG, Kurd news, Kurdistan » Let the Kurdistan Flag Fly High Over Kerkuk! 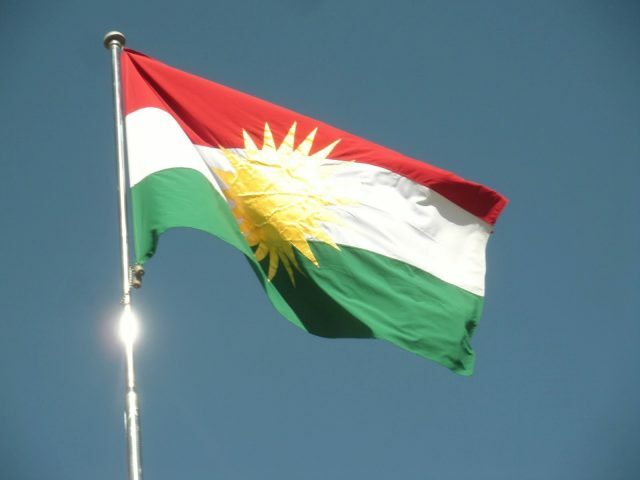 Let the Kurdistan Flag Fly High Over Kerkuk! What happened in Kerkuk this week has helped restore my faith in the ability of our people to build the future that they so deserve. We must all salute the bravery of Dr. Najmaldeen Karim, the Kerkuk Governor, and his supporters for doing the right thing, which is raising the Kurdistan flag over Kerkuk and all its governmental offices next to the Iraqi flag. Good leadership does matter! Now is the time for all Kurdish political parties and groups to lend Dr. Karim their full support. The Kurds have, for generations, considered restoring Kerkuk to the fold a central issue in their liberation struggle. Raising the Kurdistan flag over the city is a bold and important step in achieving that goal. It deserves every Kurd’s wholehearted and unequivocal support. Now is the time not just for the Kurds to celebrate but for all the ethnic and religious groups of Kerkuk to celebrate with them and come together for the good of their city. The non-Kurdish ethnic and religious groups must not feel left out by this historic event, for the Kurdistan flag represents all the ethnic and religious communities of Kurdistan, not just the Kurds. It is a well-known fact that the Kurdish region has traditionally been more inclusive and more tolerant of diversity than other parts of the Middle East. This healthy tradition must be preserved and strengthened in the future. Anyone familiar with the history of the region knows that Kerkuk has historically always been a Kurdish city. Around the time of the formation of Iraq as a country in 1921, the vast majority of Kerkuk’s residents were Kurds. Even in 1957, according to the census conducted by the Iraqi government, still the majority of the residents of the governorate were Kurds. In the minds of the Kurds, there has never been any doubt about the identity of the city and its being an integral part of Kurdistan. But successive Iraqi governments, especially under Saddam, have changed the demography and character of the city through their abhorrent Arabization policy. But that cannot alter the truth about the true identity of the city. Raising the Kurdistan flag over Kerkuk is an important step in reaffirming the fact that Kerkuk has always been and will remain part of Kurdistan. Not surprisingly, the enemies of the Kurds have come out of the woodwork either to denounce the raising of the flag or express their “displeasure” about it. Dreaming that Kerkuk is still within the sphere of the Ottoman Empire, Turkey has denounced the move. If a group of aliens have come from outer space and raised their flag where the Kurdistan flag rightfully flies now, Turkey wouldn’t have objected at all, but for the Kurds to do that? That is just not acceptable, for the Kurds can’t have any right whatsoever anywhere on earth! And, not to be far behind, the United Nations also expressed displeasure over the raising of the flag! Of course! We have the right to ask: Where was the UN when a quarter of a million innocent Kurds were murdered in the Anfal campaign by the Saddam regime, including the gassing of five thousand Kurdish men, women, and children in Halabja? Where was the UN then? Naturally, various Iraqi political groups have protested the move, but, like Turkey and the UN, they, too, were silent when the Kurds became the victims of Saddam’s genocide. These groups have never wished the Kurds well, so their reaction is quite predictable but should carry no more weight than it deserves. Finally, every Kurd, no matter where they live and what their political persuasion, should be proud of raising the Kurdistan flag over Kerkuk. We should celebrate this achievement as a momentous event on the road to the Kurdish people’s achievement of their full rights as an independent nation just like the rest of the human race.